Think you need insulation ? You probably do. But how is the outdoor air infiltrating your home? Without air sealing, unwanted cold air enters your home in the winter and hot air enters in the summer. Learn how to keep your home comfortable, energy efficient, and safe. 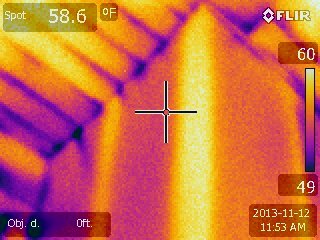 Click here to educate yourself about an Energy Audit, or click here to schedule a free consultation. © 2017 PPL Electric Utilities Corporation may offer rebates to help you with your project cost. The blue is cold air leaking into your home. 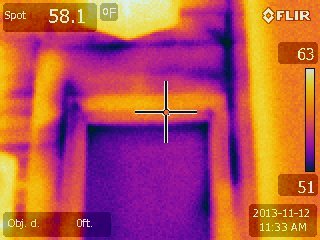 The blower door test and infrared camera are how we scientifically figure out your home's problems. Why spend hundreds or thousands of dollars to fix your home if you don't actually know what the problems are? For a free energy consultation, please submit your information below. The Department of Energy recommends an Energy Audit. Watch the video below to learn about the audit, and how you can benefit from it. Sellair is a local contractor based in Allentown, PA servicing the Lehigh Valley including Allentown, Bethlehem, Emmaus, Easton, Wind Gap, Coopersburg, and Quakertown. 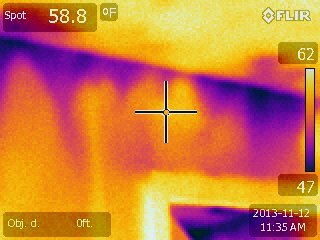 Sellair performs Energy Audits, Air Sealing with Spray Foam, Insulation with Fiberglass and Cellulose, and heat pump water heater installations. We hope to have the opportunity of doing business with you.